The supply of homes for sale in Metro Vancouver is rising but residential home sales in the region fell by 37.7 per cent in June. According to a report recently released by the Real Estate Board of Greater Vancouver (REBGV), home sales were 28.7 per cent below the 10-year June sales average thanks to stubbornly high prices even as more houses were added to the market. On the higher-end part of the market, prices are also dropping. 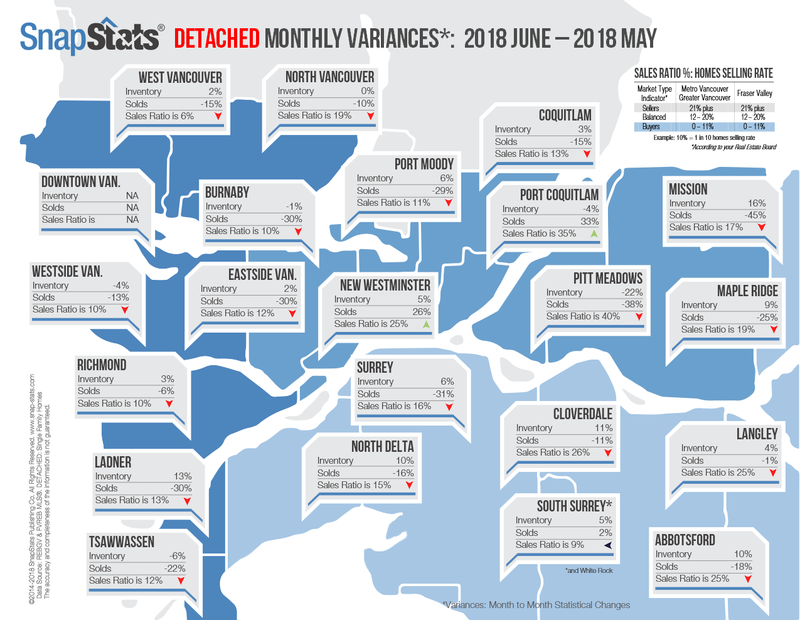 In West Vancouver, the benchmark price for detached properties slipped to $3,392,500 in June, down 6.5-per-cent since 2017. Prices could also continue to fall thanks to an annual 0.2-per-cent property surtax that is being imposed in British Columbia on homes valued above $3-million and up to and including $4-million. For homes valued above $4-million, a 0.4-per-cent annual rate applies. This means the owner of a property assessed at $4-million will pay $2,000 in extra taxes next year, while the owner of a $6-million home will have to pay around $10,000. As the demand for homes declines, a buyers’ market could emerge in Metro Vancouver. After all, price growth has also slowed since June in the sale of townhomes and apartments. According to the REBGV, the sales-to-active listings ratio for all property types in June 2018 was 20.3 per cent. By property type, the ratio is 11.7 per cent for detached homes, 24.9 per cent for townhomes, and 33.4 per cent for condominiums. Generally, analysts say home prices can start to fall when the ratio dips below the 12 per cent mark for a sustained period. Conversely, home prices often rise when the ratio surpasses 20 per cent over several months. 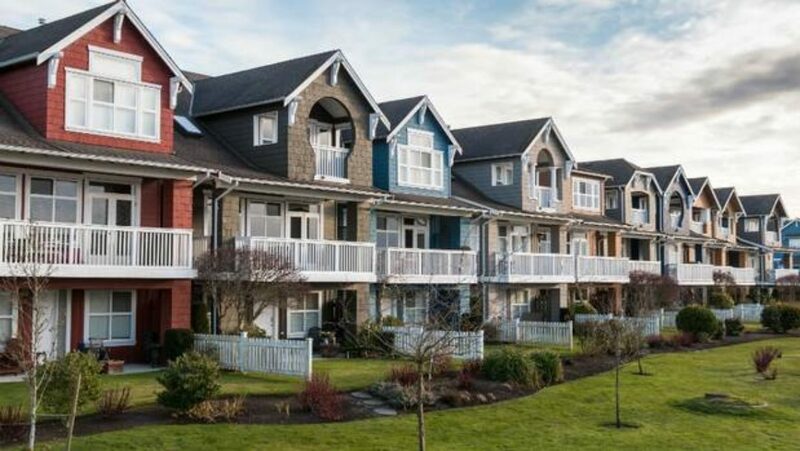 Brendon Ogmundson, deputy chief economist with the British Columbia Real Estate Association says lower demand is bringing most markets around the province back into more balanced conditions after years of inflated prices. But, it’s a change that is not happening quickly. In June, 11,947 homes of all types were listed for sale on the Multiple Listing Service (MLS), up 40.3 per cent from June last year. Also, the composite benchmark price for all residential properties in Metro Vancouver in June was $1,093,600. This represents a 9.5 per cent increase over June 2017 and is virtually unchanged from May 2018. Benchmark prices in Greater Vancouver for detached houses were up 0.7 per cent over the past year to $1,598,200. Sales of detached homes in June 2018 reached 766, a 42 per cent decrease from the 1,320 detached sales recorded in June 2017. Apartment sales reached 1,240 in June 2018, a 34.9 per cent decrease compared to the 1,905 sales in June 2017. The benchmark price for an apartment is $704,200. 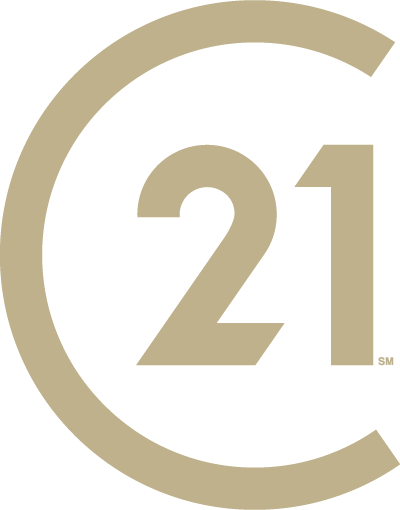 This represents a 17.2 per cent increase from June 2017 and a 0.4 per cent increase compared to May 2018. Attached home sales in June 2018 totaled 419, a 37.3 per cent decrease compared to the 668 sales in June 2017. The benchmark price of an attached home is $859,800. This represents a 15.3 per cent increase from June 2017 and is virtually unchanged from May 2018. A fourth increase in one year from the Bank of Canada on its interest rate is also making buyers a little apprehensive with the rate now at 1.5 per cent. Still, government intervention and an overall decline in home sales mayl be enough to help make the Metro Vancouver housing market more affordable? Only time will tell.